It is always important to keep in mind that curtains are one of the most visible items inside your house and therefore, should be kept clean. Now, curtain cleaning can be quite challenging if you have many windows in your house. This is one of the primary reasons why people need curtains cleaning services. Each and every day, these curtains are handled by people and they work as a barrier between the outdoor environment and inside of the house. Dust and dirt gradually piles up on its surface which is why you may have to clean those curtains on a regular basis. Some people prefer hand washing the curtains while others consider machine wash. If your curtain is decorated with metallic components, you need to be extra careful while curtain cleaning. These components can cause serious injury or you may damage some portion of the texture while trying to clean it if not careful enough. If you hire a professional cleaner to do the job, it makes things a whole lot easier. First of all, they will save you from all the hard work involved with curtain cleaning and secondly, they will know exactly how to clean these curtains in the best possible way without damaging their texture. The very first step of curtain cleaning is, removing those curtains that are held by some small and delicate components. A person who is not experienced enough about how to remove a curtain can easily damage its texture or the mounting while trying to remove it. On the other hand, a professional cleaner will know how getting the curtains removed without causing any damage to those. This is a major advantage of letting a professional do the job. Different type of curtains require different cleaning techniques. A professional cleaner will carefully examine your curtains and will determine which cleaning method is going to be the best to clean them and will apply it carefully. Once curtains is properly cleaned and dried, the cleaner will re-install them in your rooms. People are quite busy in Singapore and they follow a very tight schedule for indoor and outdoor works. It is important to keep in mind that curtain cleaning is a very time consuming task if you want do properly. Therefore, it is always recommended to hired a professional cleaner to clean those curtains for you. This will save you valuable time so can invest in other important tasks knowing that your curtains are in good hands. You may have to remove your curtains from those windows to clean them, while redecorating the house or when you move out. Now re-installing those curtains is not that easy and can turn out be real challenge if you haven’t done this before. In such cases, you should consider professional help which will save you a lot of trouble. Infestation is a very common problem with curtains. This can occur due to the presence pests. Order disinfect those curtains, you need to remove their eggs and their pests. A curtains cleaning service provider knows exactly how to disinfect a curtain, using proven techniques and quality accessories. 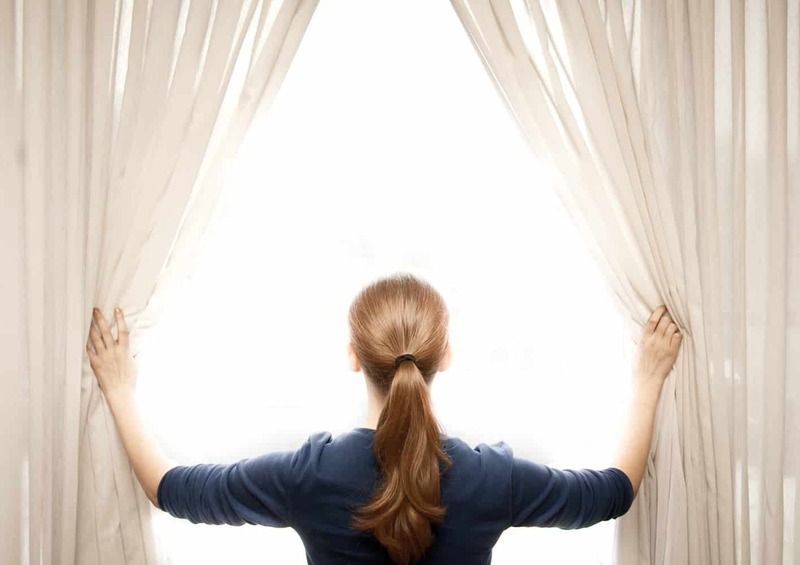 Allow an expert to take care of the problem to make sure that your curtains are free of disinfect. So now you know how much beneficial it really is to use professional service for curtain cleaning. First for all, they are well capable of cleaning the curtains safely and effectively without causing any damage to the texture. Secondly, cleaning curtains is a very hectic time consuming task and you can easily save your valuable time by outsourcing this to a professional cleaner. Thirdly, they know how to remove and re-install the curtains at ease which is not an easy task if you haven’t done this before. Fourthly, they know all the methods of curtain cleaning depending on the different materials used in their making and will use the specific cleaning method after carefully assessing the texture of your curtains. And lastly, professional cleaners can disinfect a curtain in the best possible way by removing all the eggs and the pests from them leaving your curtains clean and free of insects.